Atlantic City always knows how to party, and 418 is bringing some of their top members to NJ for a FREE show! 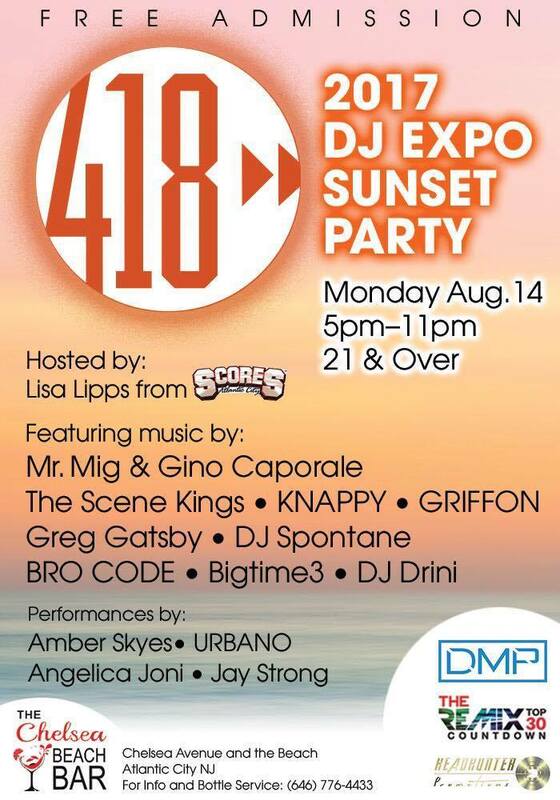 The 2017 DJ Expo Sunset Party is going down at the Chelsea Beach Bar on Monday, August 14, and I’m gonna be throwing down a set alongside some 418 greats! Expect tons of fresh material like my latest track, “I Got You” (out on 418 Music) and Rorschach’s banging new release from Maradonai and Freddy Mac, “Superbass.” Beyond excited to play these out live side-by-side with a some of my favorite 418 releases. Come through and support if you’re in the area!